Laura Heller has written an article about the transformation taking place at J.C. Penney. Heller's article, which can be found at Forbes.com, describes the firm as "the most interesting retailer of 2012." As you probably know, the company recently hired Ron Johnson, the former leader of Apple's retail stores. As CEO, Johnson has set out to remake J.C. Penney, and he's hired some talented folks to help him (including a senior executive from Target, where Johnson worked prior to Apple). So far, Johnson's team has redesigned the logo, hired a new spokesperson, invested in Martha Stewart's company and launched a design partnership with Nanette Lepore. Perhaps most significantly, the company is overhauling its pricing strategy in a dramatic way, and it's redesigning the in-store experience. The company will be reducing prices significantly on many basics, relying less on weekly sales, and keeping prices at the same level for a month at a time on many items. It's not quite everyday low pricing (EDLP), but it's a shift away from the usual high-low pricing strategy that many retailers employ. In terms of the in-store experience, the firm will be introducing many "stores within a store" - with each mini-store associated with a key brand. Heller rightfully points out that it will be fun to watch these changes unfold, and to see if they succeed. What's clear to me is that the department store format is crying out for re-invention. Whether or not these changes all succeed, Johnson is right to try rethinking the department store concept. In a world of massive discounting, outlet store malls in every state, and rapid e-commerce growth, department stores have to change their approach. It will take more than a new store experience though. The firm will have to offer exclusive products as well, so as to avoid pure head-to-head competition with rivals. Moreover, it will have to define itself clearly vis a vis its rivals. For years, the company's positioning and target market has been a bit murky. That will have to change too. “You don’t get anywhere if you keep changing your ideas. The only way to change people’s minds is with consistency. Once you get the ideas, you keep refining and improving them; the more simply your idea is defined, the better it is. You communicate, you communicate, and then you communicate some more. Consistency, simplicity, and repetition is what it’s all about." I think Welch is correct in emphasizing the need for consistency, simplicity, and repetition in their communications. However, leaders need to take one additional step if they wish to communicate effectively. Put simply, leaders need to test for understanding and alignment. Did the troops understand my message? How did they interpret the meaning of my statements? Did they understand my intent? Is everybody on the same page, or did people "hear" different messages? In other words, leaders need to construct a strong feedback loop. They have to circle back and make sure that people "heard" the same message that they intended to convey? Many leaders fail to take that additional step. As a result, confusion and misalignment persist despite the fact that leaders believe that they have communicated clearly, simply, and repeatedly. I am working on the research for my next book, and I am seeking my readers' assistance. I'm studying successful or unsuccessful duos, with a particular emphasis on innovators in a variety of fields. For instance, Dwight Eisenhower and George Marshall would be an example of a very successful duo, as would Andy Grove and Gordon Moore at Intel. I'm looking for examples from the military, business, sports, etc. How can you help? Please send me ideas for successful or unsuccessful duos that I can analyze. In addition, if you know of individuals that I could interview for this research, please reach out to me. I appreciate your assistance and recommendations. Fortune magazine recently published its list of the top firms for developing leaders. The magazine works each year in conjunction with The RBL Group and Aon Hewitt to develop this list. IBM topped this year's list. The report identifies a number of characteristics of these top companies. For instance, it notes that the best firms have clearly defined competency models that identify what the organization expects of its leaders. Specifically, the report indicates that, "Top Companies have a defined competency model that describes a unified theory of what leaders at their organization should know, be, and do. And they use their competency models in all phases of talent and leadership development." I agree wholeheartedly that firms should construct well-defined competency models, and then use those models to guide talent management and leadership development processes, including performance evaluation, coaching, and succession planning. However, in my experience with many large organizations, I have witnessed many highly flawed competency models. What's the major weakness of these models? Complexity! Too many firms have developed a giant laundry list of competencies. Leaders throughout the organization cannot even remember the list, never mind alter their behavior appropriately. People need to understand clearly the organization's expectations. Senior executives have to boil down their expectations to a simple list of behaviors and capabilities that they value and wish to cultivate in aspiring leaders. Simplicity and brevity will breed behavioral change much more quickly and effectively than complexity and comprehensiveness. For starters, we noted that every decision-oriented meeting should have a clear decision-maker, and if it didn’t, the meeting shouldn’t happen. Those meetings should ideally consist of no more than 10 people, and everyone who attends should provide input. If someone has no input to give, then perhaps they shouldn’t be there. That’s okay – attending meetings isn’t a badge of honor – but the people who are attending need to get there on time. Most importantly, decisions should never wait for a meeting. If it’s critical that a meeting take place before a decision is made, then that meeting needs to happen right away. Besides fast decisions, another key hallmark of start-ups is their fast-paced, densely populated offices. We’ve always promoted this approach at Google, organizing around small teams and working in close proximity to one another. Even Eric Schmidt shared his office with an engineer when he first joined the company. But as Google grew, the executives spread out to the far reaches of our campuses so they could work side-by-side with their teams. To make sure our key decision-makers could work and make decisions in an environment more reminiscent of a start-up, we created a ‘bullpen’ in one of the buildings on our main campus, which was specially designed as a place for members of our executive team to work and talk in an informal setting. These execs now set aside a number of hours per week to be there. It’s amazing how fast things can get done – even in a large company – when you put so many key people together and don’t give them an agenda. I've enjoyed reading Tim Harford's excellent book, Adapt: Why Success Always Starts with Failure. I find the overall argument of the book quite compelling, and the I love the stories and examples that Harford uses. Some assertions are maddening, but you have to just push through on the occasional bizarre pronouncement. For instance, he writes that it's wrong to assume the Soviet planned economy failed because it lacked the profit motive or the creativity of private-sector entrepreneurs. Huh? He argues that the failure was due to an inability to experiment. Somehow, in Harford's mind, the inability to experiment didn't have anything to do with a lack of profit motives and private sector entrepreneurship. I don't get it. The book is excellent overall though. He makes a great case for the importance of experimentation and the willingness to tolerate failure. Harford also makes a strong case for why leaders must embrace conflict and dissent. Take the story of General Petraeus that Harford tells us in the book. Petraeus organized a conference on counterinsurgency in Fort Leavenworth during the Iraq War. He invited many people, inside and outside the Army, who had been quite critical of the Army's strategy to that point. It was a highly unusual meeting for the U.S. Army. Petraeus also often invited lower level officers to email him directly about their observations and insights regarding how things were going in Iraq. He wanted to circumvent the usual gatekeepers and hear directly from those on the front lines. Apparently, Petraeus learned the importance of inviting dissenting views from Major General Jack Galvin, a man to whom Petraeus reported back in the early 1980s. According to Harford, "Jack Galvin also taught Petraeus that it is not enough to tolerate dissent: sometimes you have to demand it." Music to my ears! I have argued that same point for years. Just telling people you want to hear from them doesn't always surface the full range of divergent views and perspectives that you need to hear. When he's telling these stories, Harford is at his best. I strongly recommend the book. Sponsored Search: Do You Want to Be Listed First? You might think it's obvious that a firm should seek to have its advertisement ranked first in a list of sponsored search engine results. Being at the top of the list of sponsored search listings ought to be desirable, right? Well, not so fast! Wharton Professor Kartik Hosanagar and his co-authors Ashish Agarwal and Michael D. Smith examined online ad auctions in some recent research. They found that the ads in the top position do generate the most clicks, but that doesn't necessarily turn into the most revenue or profit. The scholars found that ads in the 2nd, 3rd, and 4th positions seemed to have higher conversion rates (% of clicks turning into purchases). That's interesting, of course, since it is more expensive to be placed in the first position. Why might that be the case? The researchers offered two potential explanations. First, many consumers clicking on the top ad might not be serious buyers. They may just be looking for information on a particular product or service, and so they click on the first ad as part of a broad information gathering strategy. Second, consumers may be exhibiting what psychologists call the recency bias. In other words, they click on the top ad, and then click on the next few sponsored search ads to compare pricing or product features. However, they don't return to the top ad in many cases before making a choice. According to the researchers, consumers tend to "purchase from the most recently evaluated advertiser if all evaluated options appear reasonable." Who has the D? Does method encourage advocacy over inquiry at times? Many people have embraced a terrific HBR article written a few years ago - "Who has the D? How clear decision roles enhance organizational performance". I think the article is excellent. It provides practical advice for enhancing the efficiency and effectiveness of decision-making processes. As they argue, it's so important to figure out who has the decision rights/authority before getting too deep into deliberations on a complex issue. I do think a word of caution is in order though. If we are too quick to frame a crucial meeting(s) as a decision moments, we risk having advocacy crowd out all inquiry. In other words, people may focus so much on winning the argument that the group as a whole stops learning about the problem, or about each other's perspectives and knowledge. Jumping too quickly into decision mode sometimes means that teams frame decisions as go/no go situations, rather than creating and considering multiple options. We sometimes have to remind a team that they may need to do some more collective and collaborative inquiry into the nature of the problem before shifting into individual advocacy mode. I'm not arguing for a go-slow approach. I'm simply recommending that groups remember that focusing too quickly on the "d" can lead to entrenched and polarized camps locked in a dysfunctional conversation without having shared ad integrated all the data and knowledge required to make a sound choice. Kodak: More Than a Disruption Story? "The demise of Kodak isn't merely the classic disruption story that everyone loves to tut tut over. Nor is the company's downfall merely a result of recent bad decisions or the mismanagement of senior executives. It is the more nuanced story of how easy it can be to get things wrong, even when trying with the best of intentions to do everything right." "The digital photography field not only was slow growing but it actively undermined their largest source of profits: photo and motion picture films. The tiny sideline businesses simply could not scale at a rate that might make up for the loss of film revenues, so those inside the core business were unable or unwilling to do what it took to foster drastic transformation. This exact phenomenon plagues innovation in nearly every large firm. At least once a week, top executives tell me that new growth businesses in their firms are intriguing and potentially important, but they simply "don't move the needle." Again, Keeley is right on the money. However, this story is PRECISELY the disruptive technology story told by Clayton Christensen. Clay has documented many, many examples of upstarts disrupting incumbents in industry after industry. In many of those cases, the incumbents didn't miss the threat completely. They were not simply blind (Polaroid too invested in digital photography R&D in the early days). Some executives understood the new technology and recognized that it had some promise. However, the core business and the corporation's resource allocation process undermined the firm's ability to shift effectively into new markets. The "move the needle" problem occurs in many firms, as well as a host of other pressures in the resource allocation process that make cannibalizing the core a very difficult thing to do. The real challenge of "move the needle" thinking is somewhat different than what Keeley has suggested. Many large firms become dismayed when new ideas don't seemingly "move the needle" in terms of revenue growth. However, time and again, we have instances in which executives misjudge the actual revenue potential of new business opportunities. They overestimate some and underestimate others... by a significant amount. Thus, dismissing a new venture because it won't move the needle proves to be a very dangerous move. Fast Company has an article this month about Cadillac's attempt at reviving the brand and becoming more appealing to young people. The article describes how Cadillac hired the Fallon advertising agency to develop its current campaigns. The agency promptly put 28 year old Veda Partalo in charge of remaking Cadillac's image. Putting someone that young in charge certainly takes guts, but of course, she understands what makes young people tick. I found one particular element of her strategy quite interesting. Partalo describes how she chose not to focus on specific models, but instead tried to emphasize the brand as a whole: "Sometimes you want to communicate to each buyer based on his individual needs. But the luxury buyer is different. He's more concerned with the brand's overall background, its heritage. So we wanted to do two things. First, bring Caddy back to its original standing. Second, do it through a campaign of substance." In this case, I think the emphasis on the brand, rather than specific models, makes a great deal of sense. First of all, it's a much more efficient way to spend advertising dollars - no more mini-campaigns for each model. More importantly, Partalo has to get Cadillac into the consumer's consideration set. Customers won't examine a particular model if Cadillac isn't even on their radar screen. Therefore, she has to make them willing to be open to the idea of purchasing a Cadillac. Once she achieves that, Partalo can sell consumers on the attributes of particular models. Many firms make this mistake, thinking that they can sell consumers on a great new product without confronting the reality that the brand as a whole may simply not be a viable option at the moment for many individuals. Rise of the New Groupthink? Susan Cain wrote a very provocative article for the New York Times this weekend. It was titled, "The Rise of the New Groupthink." Cain explains that, "Most of us now work in teams, in offices without walls, for managers who prize people skills above all. Lone geniuses are out. Collaboration is in." However, Cain argues that many creative people are quite introverted, and they enjoy working independently and privately. Some creative individuals thrive as "lone geniuses." Privacy and solitude makes them productive, while constant interruptions can be very problematic. Cain cites the work of K. Anders Ericsson, a scholar who has examined how people become world class experts in particular fields through deliberate practice. Cain concludes from his research that, "The best way to master a field is to work on the task that’s most demanding for you personally. And often the best way to do this is alone." Cain also argues that teams often do not achieve their potential; they do not outperform the results that could be achieved by best individual members working alone. Indeed, much research has shown that teams often experience "process losses" - i.e. 1+1 should equal more than 2, but somehow those synergies often don't materialize in teams. 1+1 might even add up to less than 2 at times. She points specifically to the process of group brainstorming, whose results often do not meet expectations according to many studies. Cain acknowledges that many of our toughest technical and scientific problems no longer can be solved by the "lone inventor" working in their garage. Collaboration has become necessary to make progress on many complex challenges of our time. However, she argues that we have to strike a balance in the way we organize ourselves in workplaces, schools, and other institutions. We need to provide the space for collaboration to occur, but not inundate people with meetings. We have to give people, particularly creative introverts, the opportunity and the venue to work privately and without interruption at times. At the same time, we want to provide the opportunity for the mixing of ideas to occur and the sharing of knowledge. It's a delicate balance, but I believe Cain is right in arguing that we must strive to achieve it. As my beloved Patriots prepare to play the Denver Broncos this weekend, everyone is focused on Tim Tebow. His fans love him - he's a winner, they argue. His critics deride his unconventional style; he can't throw the way an NFL quarterback must, they argue. I find the entire issue of conventional wisdom in the NFL fascinating. Allegedly, you have to run the football to win, but then Green Bay won the Super Bowl last year by always passing! Consider even the three best quarterbacks in the game. Each was, in part, rejected at one point by the so-called experts. Brews was deemed too short among other things and discarded by the Chargers. Brady was not picked until the 6th round of the draft - too slow, too weak, etc. Rodgers fell to late in the first round due to various criticisms. How did that work out?!! In general, NFL general managers have a terrible time selecting quarterbacks in the draft. Many top picks turn out to be busts. Yet, the conventional wisdom remains a powerful thing in the NFL. The lesson here for other industries is to be cautious about the conventional wisdom. It can lead you astray. Moreover, one can become blind to the weaknesses of that conventional wisdom if you have been part of that industry for years. Always be wary of those who tell you that certain rules of thumb always hold in a particular industry. I'm not saying Tebow will be a Hall of Famer. I'm just saying that not all quarterbacks must be carbon copies of some mythical prototype. 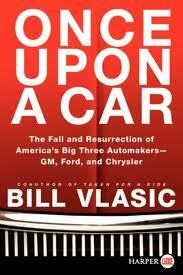 I've finished reading Bill Vlasic's most recent book on the auto industry, and I highly recommend it. As a journalist, Vlasic has covered the industry for decades, and he really understands the key players and the firms. Some of you may remember his terrific book about the Daimler Chrysler merger (Taken for a Ride: How Daimler Drove Off with Chrysler). In the book, Vlasic writes a fair amount about Alan Mulally's turnaround process at Ford. I found several stories particularly compelling. For instance, Vlasic describes how Mulally changed the culture of the senior management team at Ford. Prior to his arrival, the top team experienced a great deal of infighting and dysfunctional group dynamics. Mulally instituted a new business plan review process centered on a crucial Thursday morning meeting that took place weekly. The new Ford CEO quickly established some new ground rules for how executives would behave during these meetings. He called these shared norms and ground rules the "working together behaviors" of the senior team. According to Vlasic, these ground rules included no smart phones, no encyclopedic briefing books, no aides, no jokes about colleagues, no side conversations, and most importantly... facts, not opinions, would rule the day. Mulally announced to the team that this code of conduct would be strictly enforced. If someone couldn't comply, Mulally told them bluntly, "You'll just have to work somewhere else." He went on to explain, "The important thing is that we are all accountable to each other. You are accountable to the team, and the rest of the team is here to help you." What a fantastic leadership moment! Too many teams suffer because leaders don't outline the ground rules and expectations EXPLICITLY. Leaders need to be clear about the shared norms and ground rules which will govern behavior. If leaders are explicit and clear about these "working together behaviors," they will find it much easier to encourage candid dialogue and to keep conflict constructive. Moreover, they will find that explicit ground rules will enhance their odds of achieving alignment and shared commitment among the team members. Leaders: Can You Transfer Success to a New Organization? Glenn Llopsis has written an interesting column at Forbes.com. The article is titled, "7 Reasons Leaders Can't Transfer their Success to Other Organizations." I have always found this topic fascinating. Why is it that highly effective leaders sometimes have trouble repeating their success at their next organizations? First and foremost, I believe that we often over-attribute an organization's success to its chief executive. We assume that he or she should receive most of the credit for the high performance, when in fact, others played a key role. Perhaps even some good fortune played an important part in that success. Second, executives often try to take the processes and techniques that have made them successful and transplant them completely to their new organizations. They forget that those practices must be adapted and tailored to the new industry, strategy, culture, and people. In other words, there are very few "best practices" that can simply be dropped into any organization. Practices must always be tailored to fit with the other systems, activities, and processes in place at the new organization. Alignment or fit among processes and capabilities produces competitive advantage. That's why tailoring matters so much! Executives encounter a problem though. In the back of their minds, they often know that tailoring and adapting is necessary. Yet, they have had such success with a particular "formula" that they are reluctant to change. Chuck Knight, the former CEO of Emerson Electric, once visited my class a few years ago. A student asked him if he would have taken the vaunted Emerson strategic planning process to Silicon Valley if he had taken on a CEO role at a firm there after he retired from Emerson. He said that adopting the Emerson process there without significant adaptation would have been a big mistake, but he acknowledged that it would have been very tempting to rely on the winning formula from his past. Narcissistic CEOs: Impact on Acquisitions? More narcissistic acquiring CEOs are more likely to be the initiator of the transaction. Compared to their less narcissistic peers, they also tend to negotiate faster during the private part of the process, and they are more likely to complete the transaction. Additional analyses show that target CEO narcissism is associated with higher bid premiums and lower acquirer abnormal returns. Our results make a strong case for the impact of CEO psychological characteristics on many dimensions of the takeover process. I found these results fascinating. I understand completely how narcissistic acquiring CEOs might be deal happy. After all, one could imagine them enjoying the spotlight associated with making acquisitions, and deriving satisfaction from growing the size of their empire. The more surprising results concern the impact of narcissism on bid premiums and acquirer returns. I would have thought acquiring CEO narcissism would have the significant impact there, but in fact, it's the target CEO's narcissism that creates higher bid premiums and lower abnormal returns. The scholars explain the finding by arguing that, "Manipulative narcissistic acquiring CEOs may be able to browbeat their less narcissistic counterparts during talks." It's an interesting potential explanation. Is the lesson that we shouldn't try to do deals with narcissists? Perhaps it is! Nice Guys Finish Last - and Don't Become Leaders? Nir Halevy, Eileen Chou, Taya Cohen and Robert Livingston have conducted an interesting study regarding the relationship between altruism and status. First, they distinguish between two dimensions of status: prestige and dominance. According to Livingston, “Dominance involves the use of intimidation and coercion to attain a social status based largely on the effective induction of fear.” Prestige derives from being a good person and demonstrating character that people respect and admire. In the first experiment, selfish participants—free-riders who kept all of the chips and contributed nothing to the group—were rated lower in prestige but higher in dominance than participants who contributed to the group. In subsequent studies, participants who harmed another group were also rated higher in dominance than people who contributed to their own group without harming outsiders. Finally, the most generous individuals—those who contributed to benefit both their group and outsiders—were rated lowest in both dominance and prestige. In sum, individuals were seen as more dominant if they were selfish and discriminated in favor of their own group at the expense of others. When it came time to select leaders, dominance and prestige played distinctly different roles, depending on the type of leadership that was required. In instances where there was no intergroup competition, people preferred individuals with more prestige. But when groups had to compete against each other, dominant individuals rose to the top while benevolent people were least likely to be elected. Does this mean that "nice guys finish last?" It certainly seems that this might be the case. Livingston argues, "Altruism is a double-edged sword. On the one hand, generous individuals are admired for their kindness, compassion, and willingness to help. On the other hand, they may be perceived as feeble ‘bleeding hearts’ who lack the guts to make tough decisions that might advance the goals of the organization." He goes on to argue that we may not quite have it right when we say "Power corrupts." In fact, in competitive environments, we may be selecting high dominance leaders who have a natural tendency to exhibit selfish behavior. Let's be careful about making sweeping generalizations based on this experimental study though. The studies involve judgments made based on one set of actions. Life in organizations represents a repeated game. We interact numerous times with others, and we make determinations based on the patterns of behavior that we observe. Long term success is not simply about dominance. It clearly involves prestige as well, as the scholars acknowledge in their study. Moreover, I do believe that leader selection depends on the culture of the organization. Certain organizational cultures do not tolerate selfish behavior. Others enable it. The values of the firm matter a great deal. Barnes and Noble: Why Divest the Nook Business? I'm puzzled today by the news that Barnes and Noble is considering a spin-off of the Nook business. According to CEO William Lynch, “We see substantial value in what we’ve built with our NOOK business in only two years, and we believe it’s the right time to investigate our options to unlock that value." Apparently, he believes that investors are discounting the value of the Nook business because they are so negative on the brick and mortar retail business model. I'm sure that there's some truth there. However, separation of the Nook business leaves, in my view, two unsustainable entities trying to operate on their own. The brick and mortar model is dying, and it will have no future without an online element. On the other hand, Nook will have a hard time competing as an independent entity. It will lose some of those synergies with the stores. Moreover, Amazon and Apple have broader business strategies in which the Kindle and iPad are embedded. Those products benefit from the synergies associated with the entire ecosystem of those firms. It sounds to me as though the firm is trying to use financial engineering to create value, rather than actually trying to identify a viable business strategy for survival. Can Best Buy Be Saved? Consider a few key metrics. Despite the disappearance of competitors including Circuit City, the company is losing market share. Its last earnings announcement disappointed investors. In 2011, the company’s stock has lost 40% of its value. Forward P/E is a mere 6.23 (industry average is 10.20). Its market cap down to less than $9 billion. Its average analyst rating, according to The Street.com, is a B-. Interestingly, Downes does not attribute all the company's problems to the threat from online retailers such as Amazon. In fact, he focuses a great deal on customer service. One could argue that brick-and-mortar retailers must have superb customer service, because that in-store experience can be one of their key (and perhaps only) advantages over online retailers. However, Downes explains (as others have) that Best Buy employees seem to spend a great deal of their time pushing products and services on customers, rather than trying to offer educated and informed answers to their questions. They aren't offering the best solution so much as they are trying to drive sales of Best Buy's products. I haven't bought a major item at Best Buy recently, so I cannot confirm this observation by Downes. However, I can describe a recent encounter at the Apple Store, where an associate spent a considerable amount of time explaining to me why I should spend $300 less on a particular item because it would meet my needs more effectively and cost efficiently. I thanked him for the honesty, and he explained that their job wasn't just to sell product but to make sure we had the best solution and best experience possible. Sales would come if they did that part of their job. Beyond the issue of customer service, I think Best Buy has to answer many of the questions that I posed for Sears in yesterday's post. In particular, I think it needs to refine the relationship between its online store and its physical locations. That connection should be clean and seamless given the types of products that Best Buy sells. The firm needs to think about the choice of product categories in which to compete, the amount of real estate dedicated to each product category, and the optimal size and layout of the stores. As J. Benjamin Stevens wrote on this terrific blog post, "Apple Retail Stores are many times smaller than Best Buy, Costco and Walmart. However its sales per square foot figures are off the charts. In 2009 an Apple Store in Manhattan had sales of $35,000 per square foot, while Best Buy’s national sales per square foot total was $930 for the same year." One final point: Downes suggests that Best Buy is facing a gradual demise, not a sudden one. It reminds me of what governance expert Jay Lorsch once wrote in a book about boards of directors. He argued that gradual crises often are more difficult to address than sudden ones. The gradual crisis emerges slowly and in a manner that enables people to downplay the threat or underplay the need for a dramatic response. The Wall Street Journal reports that Sears has hired Brookstone CEO Ron Boire as its new chief merchandising officer and president of the Sears and Kmart store formats. Boire told the newspaper, "My focus will really be on creating more and better theater in the stores." He also will attempt to better integrate Sears's stores, website and mobile-phone application. ,He has a major challenge ahead of him. According to the Wall Street Journal, "Sales at stores open at least a year have declined every single year since Mr. Lampert created the Hoffman Estates, Ill., company by merging Sears and Kmart in 2005." 1. Do Sears and Kmart belong together? Do they help each other? Are they truly more valuable together than apart? 3. How many stores does Sears want/need in its network? What's the optimal size of its store network? 4. What's the optimal size/layout of a Sears store? 5. What are the right kinds of locations for Sears stores? Does its mall-based strategy work effectively or not? These kinds of questions must be addressed if Sears is to survive. The firm has been on a long-term downward trajectory for years. Minor adjustments won't save the company.